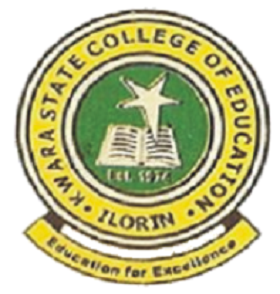 KWCOE affiliated to EKSU Degree admission form – Kwara State College of Education, Ilorin (KWCOE) in affiliation with Ekiti State University (EKSU), Ado Ekiti, full-time Bachelor Degree programmes admission form for the 2018/2019 academic session is now on sale. Applications are invited from suitably qualified candidates for admission into the full-time bachelor degree programmes of the Ekiti State University (formerly University of Ado-Ekiti) in affiliation with Kwara State College of Education, Ilorin for the 2018/2019 academic year. KWCOE – EKSU Degree Programmes. KWCOE – EKSU Degree Programmes Admission Requirements. Success at the post UTME screening exercise to be conducted by admitting college. Direct Entry Candidate: 3-Year Full-Time Programme. Two passes at the advanced level GCE with SSCE/GCE ‘O’level credit passes in three other subject including English Language. Three passes at the advanced level GCE with SSCE/GCE ‘O’level credit passes in two other subjects including English Language. How to Apply for KWCOE – EKSU Degree Admission. Application for Post UTME screening will be done on the College portal. Interested applicants are to effect a change of Insitution to Kwara State College of Education Ilorin (Affliated to Ekiti State University) Kwara State on JAMB portal. A change of course may also be required if the course you want to apply for is not the one you initially chose while filling your UTME (JAMB) form. Pay a Screening Fee of N 2,000. Update your profile by suppling more information about yourself. Fill your WAEC / NECO / NABTEB / GCE Ordinary Level Grade II T.C.